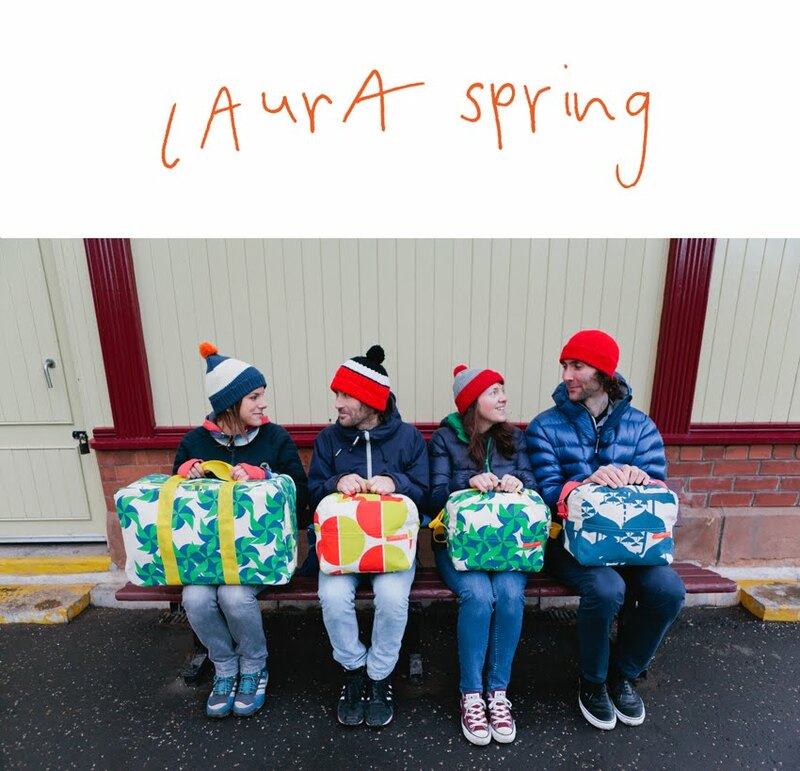 Laura Spring: Trade Show Countdown! It's almost exactly a week until I leave for London and I'm so relieved that things seem to be coming together. As someone who always goes on about 'tempting fate', I don't want to jinx anything but the last couple of weeks has seen me get a big bulk of stuff out the way - phew. The products are complete, photo shoots finished, press releases sent, website updated, pre-ordering sorted, display decided on...there's just a few more computer things to nail before I leave and then I just need to remember to pack it all and not leave anything behind! One of the lovely things about the last couple of weeks is that whilst I've been mainly inside looking out at the beautiful weather so has one of my fellow studio friends Jennie Lööf. Jennie also has a deadline she's working on, in fact her deadline is tomorrow as she will be launching her new collection here in Glasgow. I've had the privilege of seeing her work come together and it is all looking really beautiful, or 'lovely' as she would say. The other exciting news I had this week was when Elisabeth from Fine Little Day blogged about my work. I've been a huge fan of her blog for quite some time and was really flattered when she featured my new products. It's always nice to receive a compliment like this from someone whose work you admire, so Elisabeth, thank you. Duffel Bags, available in Navy, Orange or Light Blue. One final thing....you can pre-order my duffel bags here if you like? Thanks to Caroline for photographing them so well.